The GALATZÓ LEGEND is a mountain marathon race (43 km or 26,7 miles) that starts at Sa Vinya square (Es Capdellà), runs through the country estate of Galatzó and finishes at the same place. 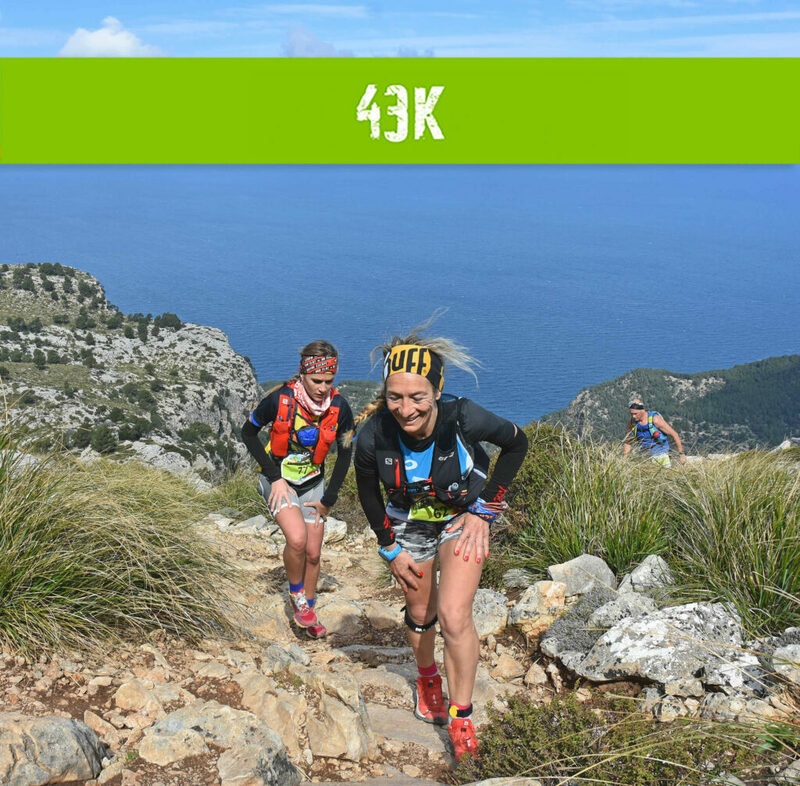 During the race the participants will ascend two of the most important peaks of the Serra de Tramuntana, Esclop (927m) and Galatzó (1027m). The event takes places almost entirely within the country estate of Galatzó and along two well-known routes of the estate. – Ascent: 2200 m (positive elevation gain) approx. – Descent: 2150 (negative elevation gain) approx. The maximum time to complete the Galatzó trail is 8 hours 30 minutes. Cut off time 1: 13.40 h. Coma d’en Vidal before the climb up the mountain (S’Esclop). Cut off time 2: 14.25 h. Junction of Sa Coma d’en Vidal after descending. These time limits are calculated so that runners are able to complete the race within the maximum time set. Runners who exceed these limits won’t be allowed to continue the race. Important:Cups won’t be available at the aid stops. A cup, flask or camelback are obligatory kit for the Galatzó Legend and the Galatzó half.